Morristown, NJ – If you are looking for an intellectually different type of activity in the next coming weekends in the Morris County area, then the Morristown Walking Tours should be in your top choices. Take time to walk, enjoy the scenic views and know the rich history behind their architecture and culture. These events are also good moments to expand your connections, meet potential friends and neighbors. Choose your pick among the three available walking tours in the next coming weeks. The first walking tour to take place is The Colonial Walking Tour. Here you will rediscover the origin and culture of downtown Morristown with local historian, Alexander Hamilton and local expert, Pat Sanftner. 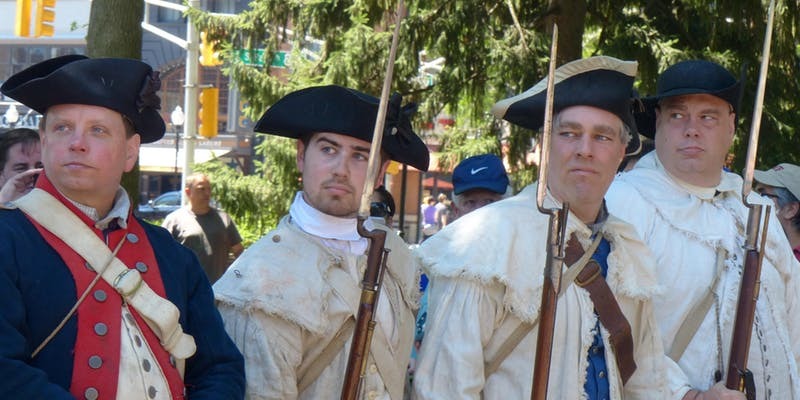 Get to visit the Revolutionary War sites along with your date or your family and hear of the stories of bravery, courage, and love of country that was displayed during the Continental Army's time in Morristown which lasted two winter encampments. On the last Saturday of July, you may attend the Curator’s Presentation about the Presidents and First Ladies. You will walk through the Morristown National Historical Park and museum while learning of the rich archives and collections associated with American Presidents and first ladies. Dr. Jude Pfister, Chief of Cultural Resources and author, will personally present the items and the stories behind them. In this program, you’ll get to explore the prominent people’s activities in their individual time periods by the display and discussion of extremely fascinating articles and pieces which never see the light of day. On the first Saturday of August, you can join the Victorian Morristown Walking Tour. In this tour, you get to see and hear about one of the grandest periods in Morristown's 300-year plus history, known as the Victorian Morristown. A local expert in this period, Ann Kurlander, will be your guide. You will get to walk through the Historic District of Morristown. You will get to visit residential and commercial buildings that were built in the year 1850-1910 and learn of the customs that they had back then. You will also know of the history behind the houses know in Morristown as the “painted ladies”. All tours are organized by The Morris County Tourism Bureau and it will start at their office which is located at 6 Court Street Morristown, NJ 07960. Each schedule is limited to 30 participants and lasts about an hour. Registration cost for any of the walking tours is 15$. For more info please call 973-631-5151.